One of the great differences between America and the Philippines is the existence in America of what I will call the “community’s force of conscience”. It is a very important difference. Before getting to that, however, let’s start by observing a similarity: both America and the Philippines have well evolved laws. These are the rules the community imposes on its citizens for the common good. They force a sense of unified well-being, or community conscience, on us. If a public official is declared by a court to be guilty of breaking a law, he is thrown from office. Both nations are also freedom-loving. Our media are not restrained and we as individuals can speak openly about anything, march in the streets in protest, and do pretty much anything we want as long as we are not breaking any laws. For example, the laws may prohibit public protest on private property or ban bomb jokes at airports. Again, the well-being of the community is valued highly. So we have laws that form a limit to our expressions, and freedoms which present the ideal that there should be no limits to our expressions. It is the in space between laws and freedoms where the two nations are very different. This is the space where we decide for ourselves if we are going to obey the laws or sneak around them or pretend they don’t exist, or positively flaunt them. We can also decide to speak. Or not. In the Philippines, that space is interpreted with a heavy weight toward self advantage over community. In America, that space is interpreted with a heavy weight toward community over self advantage. A lot of institutions in both nations work in the space by establishing standards for “ethical behavior”. They may use oaths of office or employment agreements to mandate good behavior. Ethical behavior does not require laws, it requires guidelines, a conscience, determination, and maybe even sacrifice. It requires a desire to promote a healthy community. The community may be a nation, city, company, government agency, church, profession . . . there are many communities and most have ethical standards. The Philippines has adopted the IDEA of ethics, but implementation is weak. The starkest example is in the Senate. There is an Ethics Committee but it did not meet even when some of its members were accused of a most heinous crime, stealing taxpayer money. In the Philippines, the scale that weighs the rights and wrongs of specific deeds, the ethical read-out, tips toward protecting the bad boys. That is the norm. The norm is mass complicity in bad behavior. Either the sense of “community conscience” is not well developed in the Philippines, or the courage it takes to hold others to good behavior is weak. People are smart enough to understand right and wrong. But their acts get balled up in an overbearing sense of mutual obligation, an “amoral interdependence”, that accepts corruption as the way we do business. Trading in favors, granting and calling debts . . . that is “just what we do”. So is keeping quiet if a colleague gets into trouble. Jejomar Binay would not be a presidential candidate in America. Period. He has not been convicted of breaking any laws. But he would be convicted of violating the sense of good behavior that we . . . as informed, thinking voters . . . demand. Why are so many Filipinos just standing by and waiting for a court conviction? Waiting for the Ombudsman? Waiting for impeachment? Waiting for an official act? Perhaps because in the space between laws and freedoms, Filipinos have no clarity of conscience themselves. Frankly, I don’t wholly understand why there so little condemnation of Vice President Binay from important people who are SUPPOSED to have good ethical bearing. Leaders concede every benefit to the top crook in the land waiting for an official to tell them what to think. It’s like they are ethically impotent. I have shied away from the term cowardly. But . . . they . . . just . . . can’t . . . speak . . . up. There are no Rizals among the current crop of leaders, I’d guess. In the meantime, Binay is busy dictating who will be president in 2016, and disadvantaged people are buying into it because he has a powerful media and public relations machine and lots of gifts. And obviously a lot of money . . . from WHERE you ask? It is bizarre to the western mind that people of high ethical reputation stand for this gross insult to our intelligence and values. For sure, we can watch and read and make reasonable deductions ourselves about Binay, and so can other citizens. We can tell that it is not right for tax payers to pay $2.3 billion for a building worth less than P900 million in todays market. We can understand that the “reasons” we were given by the Binay gang were not at all true: not green, not world class, no special foundations, not approved by audit. We were “jobbed”, given the runaround, played for fools. We can smell that the fish in Makati are rotten when the Chongs and other likely culprits disappear. We understand that the Binays and the Hacienda are attached together at the wallet, no matter what the paperwork or various stooges say. Why do we need an official act to certify our individual conscience? Right now, the Philippines is being weighed. Rather like knights in the movie “A Knight’s Tale” were weighed in the jousting arena. And some were found wanting. The nation is being weighed on its ethical fiber, its ethical courage. So far, there are a lot of small voices weighing in. People who put “No Binay” on their avatar image, or add it to their tweets, or fire off comments on discussion threads. Bloggers and newspaper columnists have explicitly condemned the Vice President and said he is not the right guy to be president. But the weighing is not yet heavy enough to tilt the scale, to make a difference, to elevate resistance to Binay to the level of “national conscience” that makes his running for office fruitless. It has not become heavy enough to assure that the Binays, as a family, will face only one end if they persist: loss and certain humiliation. When the Liberal Party says plainly that Binay cannot be among their slate of candidates. He does not meet their high standards. I mean, it is simple, di ba? The straight path does not have room for even the scent of crooks and liars. How hard is it for LP to draw that rational conclusion? And have the COURAGE to say it publicly. When a popular leader emerges, perhaps a movie star or politician, or a collective of such people, who will organize a public demonstration that is so huge it shuts down Manila for a day. A “No to Binay” rally. And if it doesn’t get enough traction, a larger rally will be held in two weeks. Then we will know the Philippines has a national conscience. Until then, it is just a corrupt nation of little ethical fiber . . . going nowhere. Making the bed in which its citizens will lie for eternity. A nation forever erring on the wrong side of ethical judgment in that space between laws and freedoms. An official court rendering of “guilty” or “not guilty” is not necessary. Indeed, it is irrelevant. It is our decision. Our collective decision, all for one and one for all. It is not Binay’s decision. I come from a nation where cheating the occupier was a virtue and we have had many. And what is different between the current rulers and the occupiers? Very little. So cheating might be still ok. In the Philippines the NYT question is corrupted into: “What would it cost to pay the PDI to keep silent? Could I still make a profit?” I’m suspicious of a press that is easy to influence, not as in the US, the NYT has no price. Freedom of expression in not the freedom to buy silence or buy favorite article. Where else can people go than to express their opinion than in the press? A blog (for sale?) with 5000 readers? A rally (for sale?) with 500 participants? “Voice” is no option. All happens behind closed doors between a few high players. Filipinos do not have these. Our internal affairs/human resources department train us how to do performance evaluation to keep the company out of trouble. What is reflected in Performance Evaluation should have documentation, like, if the subordinate is constantly late and absent we need to support it with electronic access record to facilities, etcetera. Meaning, evidence! Evidence! Evidence! Documentation! Documentation! Documentation! NOT DAL-DAL AND WITNESS ACCOUNTS AND AFFIDAVITS. In the Philippines it is about preponderance of Witness Accounts and Affidavits. “The occupation of the oligarchs” . . . man, there is a blog title. You writing it or me? The purchase mentality in today’s media, where opinions and editorial slant can be bought, is an example of the outcomes of poor ethical bearings, nationally. Indeed, the freedom of the press here is so free that it is unregulated. So it thrives, more like a weed sometimes. “The press is a patch of weeds” . . . haha. I’ll write that one. It depends how and what CONSCIENCE means to Filipinos. Filipinos can recite all the novenas and Biblical verses but cannot apply its teachings. Philippines has the highest literacy rate still fails to learn. 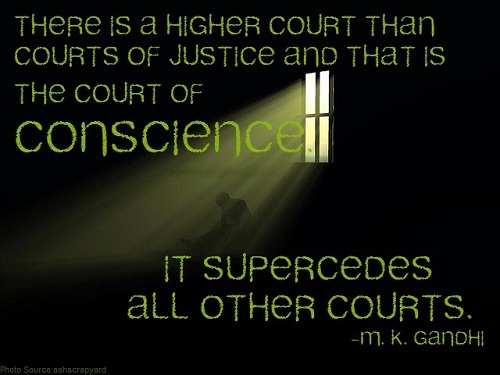 HOW MUCH MORE CONSCIENCE? ConSCIENCE to Filipinos is SCIENCE. DIFFICULT. HARD. REQUIRES MATH which is the language of SCIENCE. The only way Binay can be thrown out is vote of non-confidence. Would Binay respect the vote of the people misinformed by its take of HUSTISYA MATUWID and PROSECUTION? Filipino minds dictates that once there is a precedence of vote-of-no-confidence they’d abuse it like impeachment has become a vogue so are witness accounts and affidavits. Coup-de-T’at and EDSA martsa-martsa became fashionable like Michael Brown has become a rallying cry to blacks perceived injustice. Binay is an exemplar of what Filipinos are like. What I see in Binay is what I see in Filipinos. What I see in Filipinos is what I see in Binay. What Philippine Press and the Filipinos see in Binay is what they see in themselves. They hate what they see so they crucify Binay hoping the world will see that it is not the Filipinos but it is Binay that pulled down the Philippine economy to 5.3%. Oh ok, I’ve decoded it now. Sorry for being so thick in your language. But what this is, is simply a fallacy of generalization. Sweeping generalization. That last part though is completely out of sync. Are you saying Filipinos (that general term again) are to be blamed for the falling economy? The foreign sector is just one component of our tri-sectoral economy so it’s not entirely accurate either to attribute it as the cause of our GDP going south. The problem with your post is over generalization. The fisherman in Basilan, the farmer in Bulacan, or the call center agent in Ortigas has got nothing to do with our falling GDP. There are only a small number of policy makers and economic managers in the country. If you are going to zero-in on who to blame for our lackluster performance, those are the folks you should go after. They might be Filipinos but certainly not the generic typical Filipinos that your post suggest. It’s interesting, I see the economic failing as a management failing. Rather like the investment board within a company drives the investments and a lot of financial decisions that affect the financial well-being of the corporation, but they don’t decide what markets to be in or how to posture products against competitors. To me, the economic problem in the Philippines is bound to a business (government) culture that caters to its rich clients (the oligarchs) without considering how to deal fairly with the rest of the customers and their needs. The flow of favors and debts flows out from the center point, around which the top government officials collect, and they don’t have good fundamentals on how poor long term thinking or silo thinking – or stealing the vital resources of the business – penalizes performance. They are not around long enough to care. It struck me today that one of the reasons court cases take so long is that the judges can change over time and no one is really accountable for anything. Economic performance is the same. It is hard to find the accountable people. If you know them (for the economy), name them and I’ll dig around a little. NEDA Secretary, members of Congress, so-called captains of industry and billionaires who are more likely to hoard and stash their wealth abroad instead of investing in the local economy. Ah, okay, that gives me a start. NEDA is an interesting organization. Congress, okay. I can see who is on the economic committees. Billionaires, only a handful. You can almost ignore the foreign sector variable because we had, for the the most part, always been a net importer, so that number will always show a negative. If we want to see a significant increase in GDP, the gov’t sector has to fill in the spending and investment gap because private households and businesses tend to have erratic spending habits. If there’s a drop in PSI and the gov’t flatlines its spending, your economy will most certainly go south. @Micha, I’ve deleted a couple of your remarks because I think they tend to go down a divisive personal attack line when it is not necessary. There is no “we” around here to declare someone a troll. There is only one editor, me. I welcome Mariano’s observations, harsh as they may be, as there really are people in the world who think like he does, and we ought to listen to them once in a while and maybe even try to figure out where they are coming from. We have many choices. Not to agree. Not to read. Argue the issues. Search for the meanings. Not on the list of choices is personal attack. That’s when I start deleting posts. Yes, I agree that conscience in the Philippines is very variable, and coups and impeachments among those aspiring to lead are historically common. Binay is clearly of that ilk. The goal is to push and push so that the beginning of your last paragraph can read “Binay is an exemplar of what Filipinos were like” . . . before we decided to head for a higher ethical plane, and the stability and broad prosperity it promotes. What’s wrong in watching and waiting for the COA, DOJ, Ombudsman and other government agencies to pin down Binay? That’s what we did with Enrile, Estrada and Revilla. The Binay Dynasty is publicly humiliated they will not have a chance of getting elected. Ever. Never. Really? Surely? The Marcoses were re-elected because of the Philippine Press possibly PDI. Philippine Press pits Filipinos against Filipinos. Controversy increase circulation. That is why Philippine Press promotes crooks to create controversy to create news for bottom line sake not for Filipinos sake. Your reply made me chuckle, Bing. I spend a thousand or more words and several days laboring on this article and you effectively cut the legs out from under it with one simple question. The answer is that it is perfectly okay for an individual to believe it is best to let due process do its processing. I think that is what President Aquino is doing, actually. We have two subjects in this article. One is the particular, Binay. The other is the culture, one that is accepting of bad behavior. Well, there are others, too, such as manipulation of poor voters, but I’ll stick with those two. My concerns about Binay are his skill at making due process get stuck, and I don’t have confidence the system can get concluded in 18 months. “Conclusion” means to disqualify him to run for office. So leveraging up opinion leaders to oppose what he is doing, which is to divide the nation along class lines by flaunting early campaign limitations, and to use government money to do that . . . can stop him or neutralize him if he gets to the polls. Then, I personally think a “community conscience” is very valuable for a nation, for it is the glue that keeps things harmonious and constructive and kind. So the article has the purpose to keep pushing for that. Weak ethical bearing or strong? If I don’t write the article, I add my voice to the quiet and complacent. Nothing changes if we all do that. I was pleased to read the other day that the incidence of small scale bribery across the nation is dropping sharply. So the common man is developing a stronger sense of ethical propriety. I’d like to see leaders and opinion makers step up to the line, too. But absolutely, waiting for due process is a reasonable position to take. I am grateful you wrote the article. Well, great Bing, and I’m glad you were candid enough to offer a different take on it. If we bounce around enough, we eventually find the best way forward. And it does not mean we have to march in unison. I hold the Comelec culpable for allowing Binay to flaunt ” early campaign limitations, and to use government money to do that “. Like the COA, the Comelec “bantay-salakay” is fostering the culture of impunity among government officials. I say “Bwisit!” to the Comelec to express my frustration similar to my reaction to the outrageous proposed changes to the FOI bill. COMRLEC fired a shot across Binay’s bow. If he continues his march across the nation, the question is, will they fire at him. If not, I agree, they are a pack of sheep. One of the most important requirements that an applicant have to produce when applying for a job is NBI clearance (police and barangay clearances, too, in some instances). An applicant’s qualifications is rendered useless if he could not produce that document that attests to his integrity. It applies to everyone, it should apply to everyone, regardless of financial or social status of a person so no one should be exempted from this requirement. So Jejomar Binay must not and should not think that he is exempted from this requirement because he is the vice president of this country. The best thing he could have done when the allegations were starting to hurt his chances to be the president was to go on leave to plan his defense without using the resources of the government. He was so open about his dream to be the highest official of this land but he must remember, or he should be reminded, that he will be working for the citizens of this country which means that he must produce a clearance that he was cleared of the case of plunder filed against him at the Ombudsman and such other cases that he will eventually have to face. He could start now by clearly explaining to the people (not his prepaid audiences) that all the accusations hurled against him were not true based on documents that he will make available to the broadcast, printed and social media and anybody who will be interested in reading them. Last but not least, he must not forget to bring along with him Gerry Limlingan, Ebeng Baloloy and all the important witnesses that Ernesto Mercado mentioned in his testimonies because he could not regain any credibility without them truthfully telling the nation what they really know. Yes, yes, yes. Qualifications for the job. Character, experience, track record, decision-making. I tell you, he has his work cut out for him as he sits there across the interview table that has voters in the bosses’ chair. The demand is so simple. Just explain. That he can’t or won’t is itself a part of his credentials. 1. Clearly, the Philippines is NOT a society of honor. Di ba? 2. The difference is not only with America but with other Asian countries too, notably Japan and South Korea. 3.1. However, we have only made use of the FIRST prescription. 4. There have not been enough OBJECT LESSONs. 4.1. Except… except Chief Justice Renato Corona and Chief of Staff Angelo Reyes. 5. Clearly, we need more chief examples. 5.1. Chief ex-president Gloria Macapagal-Arroyo, chief ex-Senate President Juan Ponce Enrile, and chief presidential candidate Jejomar Binay – these would make terrific examples, di ba?! 6. DOJ, OMB, NBI, SC – do your jobs. Yes, there have not been enough object lessons. I would also suggest there has not been enough FORTHRIGHT in the dialogue, with the “forth” being candor and the “right” being a higher sense of ethical demand on ourselves. And there has not been enough focus on the SPEED of a quality output among those initials itemized in 6. What are the variables for speed? Laws or rules that demand it and cut through the procedural and legalistic crap, resources fit to demand, automation, hiring and/or training to upgrade skills. Probably some others. The postponement of Elenita Binay’s arraignment hearing is infuriating and an example of when the accused control the calendar. How about the notion that the judges control the calendar? DEMAND it fer cryin’ out loud. 6.1. And as to the Binays – book ’em, Danno. Now when we talk about solving problems, that would do it. 1. I have spoken about the Object Lessons of punishment as a negative deterrence. The other side of the coin, so to speak, is the Object Lessons of positive deterrence. 2. How does one develop a strong conscience from a positive point of view? So strong that our temptation to sin is inhibited at the root? 2.1. If religion is not doing its job, what other methods should we — can we — depend upon? 3. Some answers that have been provided are good parenting, education in ethics and civics, and models of exemplary behavior. 3.1. It is important to catch the child early and teach him the rudiments of moral behavior. Therefore, good parenting is the most critical factor. This begs the question, of course, of who taught — who teaches — the parents? 3.2. Schooling is the next important factor, but the child is more likely to be influenced by the excitement of peer behavior than by the moral precepts taught drily by teachers, who are surrogate parents. 3.3. As to moral exemplars, there are figures in history and there are living role models (who do not strut the catwalk) such as the Ombudswoman, the DOJ secretary, the BIR chief, and one renowned auditor. 3.4. But for these good examples, who we can count with the fingers on just one hand, there are hundreds of bad examples all around in congress, in the judiciary, in the executive, in church, and in the neighborhood. 4. I keep going back to religion — not necessarily to organized religion but to the moral aspect of human nature. I believe the grammar of morality is innate. Perhaps we just need to continuously speak in the language of morality,.. and attempt to observe the syntax in our talk and in our daily walk. sonny reminded me of extreme weather. I believe you had a bit last week. I saw hailstones on TV larger than golf balls. How’s your car? Your house? Your head? I believe your point 3 is critical, and a part of the problem is really lousy parenting among the disadvantaged who tend to see kids as resource persons, not vessels to be shaped for a larger life. And the government does not build the stepping stones for them, but rather hordes the best positions for the favored few, most of whom are fundamentally incompetent. But education is key. Educated people will not be held back. Point 4, yes, indeed. 1 thru 4 so much to parse and reflect on, be it internal to the person or external to the community. In the case of PH, the mentoring occurring in the home, so so crucial. My mantra to myself was that my children will meet only me and my wife as their idea of a Filipino, then beyond the home walls, them being from super minority in American society. Not very difficulty to translate the same dynamic to Filipino children meeting the best examples of goodness are their parents and significant relatives. Outside, it’s a jungle out there and must referback to values at home to do battle with the contrary tide in the market place. And yes the moral exemplars so few and far between. Can’t hearken back too much to my own experiences in younger years, since that part of the river has already flowed away past. And yes, Joe, education must be ever pursued. Too soon even college has passed. Thanks for asking. The car is fine, the house is fine, the head is… not so fine. But not due to the weather. A couple of golf-ball sized hailstones should improve it… served in a cocktail glass with a splash of gin and tonic, garnished with a lime wedge. Ah, that’s good to know, thanks. Have you considered becoming a doctor, or even a quack? Your medicine strikes me as innovative and likely quite effective. I have my moods. One day i am optimistic the other day i see it more dark. After reading your article i once again had a dark mood. We live in a Subdivision of a small town in Negros. First time i came to this town was 1974. Since then, and several mayors later, i did not see any improvements. On the contrary, potholes are larger then ever, traffic is worse with parked and waiting tricicads and tricycles blocking the streets, carbage everywhere. A place full of poverty. Hardly any employers settling there. The mayor tells the town folks of his major project, a cockfight cockpit, and the whole town is cheering. If one Binay is bad for the country, what to think of the thousands of corrupt and incompetent mayors. If thousand blog participants are going the right way, what to think of the millions that are ignorant and happy as they are. We are not speaking the language of the millions, we are using the wrong platforms. Who’s teaching us? Sorry about that funk, PP. I’d put a lot of LGU heads in the category of “yahoos” rather than professionals at managing a community to more jobs and wealth and human kindness. Most of them got elected because they are good at cockfight arenas. The task ahead is to start picking them off one at a time, looking always for more Robredos. Jail ’em. Expose them as frauds. Build a magnifying glass that puts their civic performance under a spot light. Elect replacements. Maybe the ignorant and happy, we need to make less ignorant and more . . . not unhappy . . . but aware that there can be real opportunities showing up for them and their kids if they just vote smart. Key on opportunities for the kids, I think . . . Thanks, sonny, Actually there is a typhoon bearing down on us now, but the very iffy prognosis shows it turning north. I hope so. And you remind me to inquire of Edgar, who lives in Brisbane, Australia, which last week was hammered with a huge freak hail and rainstorm. Binay . . . yeah. Storm warnings are up . . .
Good Morning, Joe. I believe, as others do, the rule of law is far more important on the issue of VP Binay. To date, the issue has stayed with the public to decide. Anyone’s opinion is valid until the truth is ferret out. However, the truth is subject to the same self-scrutiny. My take has always been in conformity with VP Binay because from the start, I have believed that the real intention of the senate hearing was to ruin the reputation of VP Binay and dislodge him from the 2016 presidential race that he comfortably leads in the surveys. Moreover, the venue or forum is not equipped to interpret the law lacking jurisprudence. Evidences should show the references and the sources of information that can be scrutinized and evaluated. Power point presentations of superficial evidences can easily draw a picture of deceit. By making it a personal crusade is like telling the people, subconsciously, the issue is for them thereby inciting a feeling of outrage. Personalizing the story by presenting elaborately documents association can persuade audiences to believe whatever they say, unless they find these things as deceptive documentary propaganda. They build on these reasons as cover for their real agenda of discrediting VP Binay. Senator Trillanes has re-announced his intention of seeking a higher office, feeling and testing the sentiments of the people. Let’s not forget that the real issue here is corruption and only the rule of law can curb this out and not Senators Trillanes, Cayetano and Pimentel, who by all accounts of the PDAF and DAP may be guilty as well. “Presumption of innocence” is not a matter of privilege. It is a civil right. The Art of Deception excuses no one from being a fool. Present technology has given it the sophistication to go incognito. rolly, a couple of things I agree with. I agree that Cayetano and Trillanes saw the hearings as a way to both step up in the presidential race, and put Binay out of the race. BUT I think they saw that they had a legitimate way to do that because they sincerely believe Binay has stolen taxpayer money. The failure of Binay to explain, whether inside the meeting or outside, why the taxpayers paid P1.4 too much for the building is a glaring problem for him. The reasons he or his spokespeople gave were PROVEN (admitted by the construction people and architect) to be untrue. So what are the reasons? The hearing is not a court. The senators can’t jail anyone. It is an investigative body and there will be new laws coming forth as a result. Evidence has been turned over to official agencies for more investigation and charges, if warranted. It is democracy at work in the down and dirty way it was meant to work. It was timely in that I caught a glimpse of the EDCA hearing today, chaired by Senator Santiago, who hates VFA and EDCA and is also running for president. She had a lot of resource people supporting her view, but we also had present representatives of the Aquino administration to explain why EDCA does not have to go to the Senate for approval as an agreement implementing a treaty. Senator Santiago can do nothing, I think, unless the Supreme Court rules EDCA is a treaty and not an agreement. But she can grill and posture (for the presidency) and look for new laws to write. It’s a part of the job. And the opposition showed up, under the spotlight in a somewhat hostile forum, and gave their responses. It’s all in the record. Vice President Binay’s is not, in part because he does not respect that democracy can be down and dirty. That is, he does not respect the democratic process. If it were true that they sincerely believe that VP Binay is corrupt, why did they not pursue the the bigger source of graft and corruption (PDAF and DAP) that was at the limelight then before VP Binay’s case was taken into account by Trillanes. Interviews with him prior to this, showed that he was even insistent that the cases under PDAF and DAP should be prioritized to clear the air or convict those who are really guilty. This proves I am correct in claiming that the senate hearing is all in aid of politics, as you have concurred Joe. Nothing more. How many investigations in the senate prospered into prosecutions of the accused or were diligently pursued in court. If the evidences they have now on VP Binay are truly strong, they should file the proper cases in court now and let justice take its course. But in reality, they have none. Not one document nor a single credible witness can prove their accusations. And because of this, a sentimental public opinion is trusted more than the courts of the land who are the legal or real authority. I too, shudder in disbelief why the rule of law should be taken for granted, when in all civility and/or in any democracy, it is the main engine of government. Hence, the concern should be focused on it in order to make sure that no should be above it and to strengthen it. According to the World Justice Project, in a society governed by the rule of law, the government and its officials and agents are subject to and held accountable under the law. Modern societies have developed systems of checks and balances, both constitutional and institutional, to limit the reach of excessive government power, and to subject the government power, or ruler, to legal restraints. These checks and balances take many forms in various countries around the world: they do not operate solely in systems marked by a formal separation of powers, nor are they necessarily codified in law. What is essential, however, is that authority is distributed in a manner that ensures that no single organ of government has the practical ability to exercise unchecked power. Since it is so easy to judge, we vilify, pillory and crucify those who are accused with the presumption of guilt. Thereby, permitting or allowing a different set of standards of how our laws should be enforced or followed. On this experience, the senate should be more concerned on how to strengthen these laws they see as weak and unenforceable instead of setting precedents on how to circumvent them. The issue is really not on VP Binay, it is the rule of law – as Dean Valdez opined. As the article says, legal conviction is not required if one’s ethical foundations are sound. I’ve watched the hearings and believe very clear, hard evidence was presented as to bad behavior by the Binays. Elenita’s case is before the Ombudsman. The lies forthcoming from Binay’s spokespeople are legend. The senate subcommittee turned its evidence over to prosecuting agencies and they are working on the case. The Anti-Money Laundering Agency is also involved. Certainly, you may look at the information and decide differently, or hold to the low ethical bar that I’d argue has kept the Philippines in trouble for way too many years. the issue should be binay because he is running for president and is sure of winning unless the issues against him are unearthed and exposed to thje general public. you are willing to feed the whole country to the dogs just so your so called rule of law is followed. you think that the rule of law is taken for granted by people like me. I agree, but it is only because in our country, the rule of law does not serve justice. more often than not, that same rule of law is used by those in power to escape culpability. where is the justice in that? you cite other democracies to prove your point that the rule of law is the main engine of government. i am sure that you are refering to first world democracies. I agree, because the premise in these mature democracies is that the rule of law must serve justice..
please remember that ours is a very young democracy. the democracies you may be refering to have had vey long histories in governance. i am pretty sure that what we are experiencing now had been experienced by them in their long histories..
for now, the country does not have the luxury of waiting for the two houses of congress to improve our laws. the consequences are dire. i think i am being a patriot when i say that i will do everything within my means to prevent binay and is ilk to govern the country. i just hope that the people, specially the politicos, who support binay will think of the country first before their own interests. why do i shudder when i hear the phrase “rule of law”. Is it because its the first thing the corrupt cites when they are caught red handed. like the phrase “but i love you” that’s thrown by inveterate cheaters, the phrase “lets follow the rule of law” is an excuse that the marcoses, arroyos, estradas, revillas, and the like use to exonorate them from immediate culpability. they know fully well that the wheels of justice grind ever so slowly and they act like innocent victims of injustice while they themselves keep on delaying the justice they say they eagerly seek. i can not wait forever for the courts to decide on the guilt of these people. all i can do is watch these corrupt people, see how they act and listen to the grapevine. i make my own educated judgment regarding the character of the person. being very careful to separate the spin from the truth. i believe that everyone has this sense and they dont need the courts to tell them that a person is guilty. the courts are there to decide whether a person has to be jailed, we the people decide if we want a grossly unfit person to lead us. this should be specially true in binay’s case who aspires to be our president. we should be able to judge his character. i can not understand the people who say that binay should be pronounced guilty before we judge him. for god’s sake, people, we are not trying to convict binay, we are trying to prevent him from becoming president of our beloved country because of his character flaws. if the courts find him guilty and brought to jail, that is gravy, so to speak. Maybe the law is the instrument of those in power, the rich, the influential and the well connected? Remember the bus company that is owned by a general that had defective brakes that killed Tado and 50 others? Last time I heard they were back in business or the shipping line accidents that killed people by the hundreds? If that Maserati guy was a jeepney or cab driver what do think could have happened? Are we all equal under the law? We would like to think so, but is this just an illusion? I am more concerned with the cyber libel law, a few weeks ago the VP threatened to sue those who call him “magnanakaw”, yeah they were wrong he’s a plunderer, big, big difference. Who do you think favors this law that can be use to harass those that criticize someone in public office or the public limelight? Time may come when our kids and grandkids can’t even comment on line the way we use to. So, let’s enjoy this moment. Public service has become an absurd term in the local context, quite literally anomalous half if not most of the time. From the government institutions to mass media, from the large corporate foundations to the NGOs, from the religious organizations to the public utilities. It must be redefined to service for profit or a what’s in it for me undertaking. If one wants a get rich quick career and has the talent and moral constitution, then run for public office. It’s where big money is. The paradox of public service’s posterboy is Binay. Yes, that is true, even in the US. Public service is for most a way to power and riches, not service. The problem in the Philippines is that pay is so poor in government jobs that skimming is easy to do if others are doing it, too. I believe in performance bonuses, myself, where tangible measures of performance are set out, and if they are achieved, big, big payouts of money are granted. That’s hard to get into a government that is bound by rules. But I’d start with the cabinet secretaries. And people like Hinares who are a rung down but soo, soo important to the well-being of the nation. And no equivocation or “loyalty”. You achieve, big pay. You don’t achieve, bye bye. Since the lawmakers approve the yearly national budget, is there already a tacit agreement among them for the 20% allowance for corruption (transparencyreporting.net figure), 30% (pctc.gov.ph figure)? 2015 budget is P2.606 Trillion at 20% is P521.2 Billion. Not bad for a years work? If Binay’s style will be the benchmark, we will always be having a budget deficit. We have to at least thank the other corrupt officials for not imitating the VP. Well, you’ll have my vote for being candid about it. Philippine Press trying to cover-up Binay stories with Drilon? Whose accuser said he did not have evidence but had a FEELING that Drilon overpriced the convention center. Blackmailing Senator Cayetano with Mrs. Cayetano scandal. They resurrected Ampatuan massacre. Now it is Napoles. Napoles on Malampaya. Someone shamed Health Secretary Ona. Ona is damaged good. Ona is now branded. There was a drib, releasing the investigation. Then a drab the following day, which is today, with Ona’s logical rebuttal. Strange. Unusual. Unsettling. Unethical. But UNETHICAL is now ETHICAL. ETHICAL is now UNETHICAL. Have not heard of Mercado. No gossip. No news. What is going on? Why the silence? Is Mercado coming back? There is no news on ZTE either. Is it wrapped up? Was it wrapped up? Was there gift-wrap? Senate investigation over? Game over? It’s weird. Silence is deafening. 10. Senators, congressmen in Janet Napoles list – They will be kind to Janet and Janet will be kind to them. They scratch Janet’s back and Janet will slap them back. The Senate have plenty of investigations to wrap up. They do not know what to prioritize. They are the most expensively paid investigators of the land supplanting NBI and the Philippine Courts. I also wonder what ever to Napoles bagmen, Gigi Reyes and the other girl. In Corona’s investigation to aid legislation … did they ever made laws out of their investigation to strengthen banking privacy laws? So many questions, never answered. Part of the quiet was due to legislators taking a break to get the budget wrapped up. They are back meeting today. Santiago chaired an inquiry into EDCA to help her gain notoriety for her presidential run. Guingona chaired the Blue Ribbon Committee as it starts to explore the theft of P900 million diversion of money under Arroyo. Mercado was cited last week as having more to reveal on Binay. Cayetano and Trillanes will again be at Binay’s throat soon, I suspect. So everything is “as per usual” around here. I do wish an organization such as the Philippine Center for Investigative Journalism would run a tabulation on the cases you cite. Like, track them and point out where the hangups are. Maybe that’s too much work for them. I know it is not the Inquirer’s bag to actually do something helpful, given that it stirs up no trouble and therefore no circulation. I agree with the statement, but not for the reason. A “Jejomar Binay” in America would be a presidential candidate in America, too, if he chooses to ignore and disregard graft accusations and insists on running in spite of it. Why blame the lack of “community conscience” when it’s the fault of the candidate for having a ‘thick face’, :). Hi Bert. In America, public interest groups and a constructive advocacy press would not let Binay off the hook. Plus other politicians would speak loudly as to his poor character. Believe me, it is very different than here. The heat is hot, the public shaming relentless. No party would accept him (he would reflect badly on other candidates in the party) and he would not make it as an independent. No body would fund him. Given the evidence against him, he’d likely already be in jail. i beg to disagree that the “lack of community conscience” is not to blame for allowing people like binay to run for office. this sense of community gives rise to shame when a member of the community succumbs to unethical behavior. this is what leads japanese to commit hara kiri when they are exposed as having committed acts inimical to the community. the ostracization that they will experience is a fate worse than death, that is why they choose sepuku instead. In that case people from the phils must have a big rally in makati to oust jejomar binay and his family. I dony like jejomar binay o be a president. He dont have the personality unlike Sec Mar Roxas. He has done many accomplishment in phil industry and he is not corrupt like binay. Go go Sec Roxas I and my family will vote for yiou this 2016 election. Very good marietta. I would for sure choose Roxas over Binay. It will be interesting to see who the Liberal Party chooses to represent them. It might not be Roxas as his polling numbers are weak. To Joe America. If that’s what you think of us, why was Obama voted as president. Obama is a painful anomaly. I’m just hoping he doesn’t do anymore damage on his lameduck year! I’m not sure what you mean by “if that’s what you think of us”. You seem to have taken offense to my observations. What bothers you about them, or how is the perspective wrong? Obama was elected because he inspired confidence in the American people at a time when the world was in economic free fall of catastrophic proportions, after disastrous Bush economic mismanagement. United Nations sure will remove Philippines before it gets infected with corruption. Geezzzzz, Mariano. The TI Corruption Perception Index for 2014 will not come out till tomorrow. Last year, the Philippines did not even make it to the TOP 90. It was at 94 out of 175 countries. Not a good place to be but not so bad either because there are 93 countries that are more corrupt than Philippines. The next President of the Philippines sure have this corruption work cut out for him. It is a blessing that the incumbent has already started the fight so the hardest part is out of the way. Small scale corruption has declined significantly the past few years according to a report I read. Citizens are not voluntarily offering payments as much, which is forcing government workers to ask for them with more frequency. But overall, the trending is away from that “custom”. I too dont get what you mean by “if that’s what you think of us…”. Mr Joe was merely stating a fact when he mentioned it. Do you really think that we have a sense of community, a sense of nationhood? This lack of a wider perspective on the effect of our actions is whats wrong with our nation. before our nation its our province, before our province its our town, before our town, its our barangay, before our barangay, its our clan, before our clan its our immediate family, first. The only time we come together and forget self and think of the community and being a Filipino is when we go abroad and llive there. Yet when we are left to ourselves, the regionalism takes over again. Why are there within the Filipino community, aggrupations of different provinces and regions. Why cant they just be Filipinos, period. Awwww! That hurts and the truth absolutely hurts! Uncle Joe, whether we like it or not, Binay may be the next president of our country, he has prepared and prepared hard for 2016. He thinks he is invincible and untouchable. You are right, that we need someone who can stand up to him, and tell him that he is not worthy to become the next president. I am hoping that Pnoy will do exactly that and tell Binay that he will not continue what Pnoy started. I am praying, that Pnoy’s loyalty to his country will be far greater when compared to his loyalty to his friends. Not to worry, bauwow, that line was not written to upstanding Filipinos, or even small-time crooks who are just doing what they do, but to those who are in leadership positions, or positions where they can influence the Binay situation, and FAIL THEIR ETHICAL OBLIGATIONS to speak up. THAT is the Philippines I am talking about. The collaboration of the quiet. I think when the time is right, Pnoy will take his stand, and it will be with the nation. Great article, Joe. A lot of Filipinos need to be acquainted with ethical citizenship. Let me be a devil’s advocate and take what may happen a notch. Binay Sr. could be “Papa Doc” (Francois Duvalier/ Haiti) and Junjun or Nancy would be “Baby Doc” (Jean-Claude Duvalier) if he wins the 2016 election. Binay Sr. will be President for life and will be succeeded by his children, then grandchildren, then great-grandchildren, ad nauseum… The pattern had been established in Makati already so the possibility of it happening again is not farfetched. My plea to all Filipinos: It is time to put the usual passive aggressive reaction in the rubbish where it belongs before Philippines repeats Haiti’s history. Please do what you can to keep the nightmare from becoming a sad and painful reality. A peaceful “People Power” by putting your money where your mouth is, on or before 2016, will work wonders for you and your descendants. That is the scary scenario, for sure. The irony is that people with conscience who would protest would be the people who would give Binay the reason to declare martial law, and then take other executive orders that seal his rule in place. So the choice becomes roll over like subjects, or total strife.